It’s been a busy Summer, and June just flashed past, so I’ve combined May and June newsletters to a Summer edition. Let’s call it efficiency! 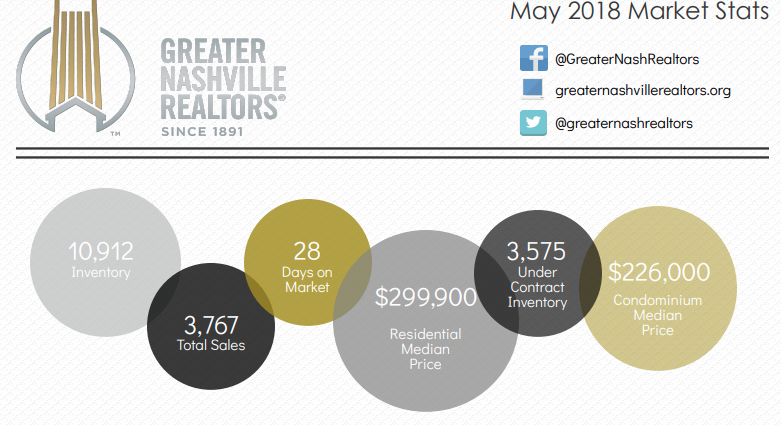 Market Data for the Greater Nashville Area, (includes Davidson, Cheatham, Dickson, Maury, Robertson, Rutherford, Sumner, Williamson and Wilson counties) shows the market is correcting and stabilizing. Detailed infographic data is HERE for May, and HERE for June. Yet again, there are new rules for STRPs (short term rental properties such as VRBO and AirBnB). The state has overridden some of Metro Nashville’s recently approved codes. In brief, non-owner occupied properties that were previously banned, have been grandfathered in as long as the current owners remain with the property. Permits do not transfer, so upon sale of the property, the new laws apply. 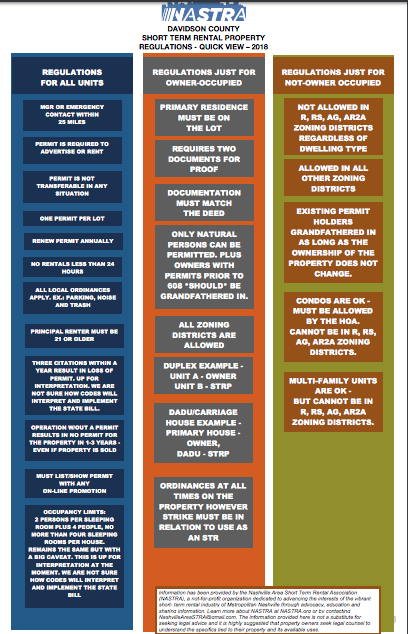 Homes in residential zoning will not being allowed to operate a non-owner occupied rental. Click on the chart to be taken to a downloadable PDF. For those who may not have heard, I have taken on some additional responsibilities with VILLAGE, as their new Director of Recruitment. I still work with buyers and sellers, but have more office hours than I used to. A little blurb about it in the Nashville Post can be found HERE. It’s high Summer and your CSA boxes have more zucchini and squash than you can conceivably eat, amiright? This recipe might help. 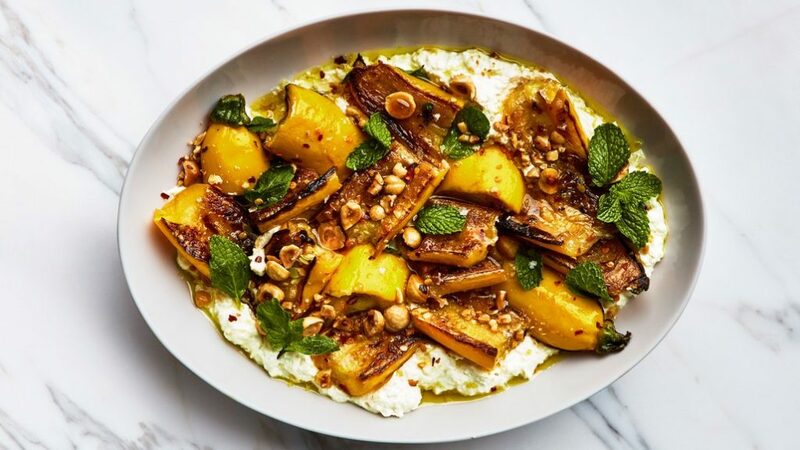 Lemony ricotta, toasted hazelnuts and garlic vinaigrette may make this my next favorite Summer dish. The key is salting the squash and letting the excess liquid drain out so you don’t get mushy squash. It’s good for Meatless Monday fans too. Full recipe is HERE. Stay cool on these hot nights.